Pretty much every day I go for a bike ride before I start work and take my daily look at the Olympic Mountain Range in Washington (from British Columbia). It’s different every day and always spectacular, even when the ocean is all foggy and cloudy (adds an element of mystery, I think). 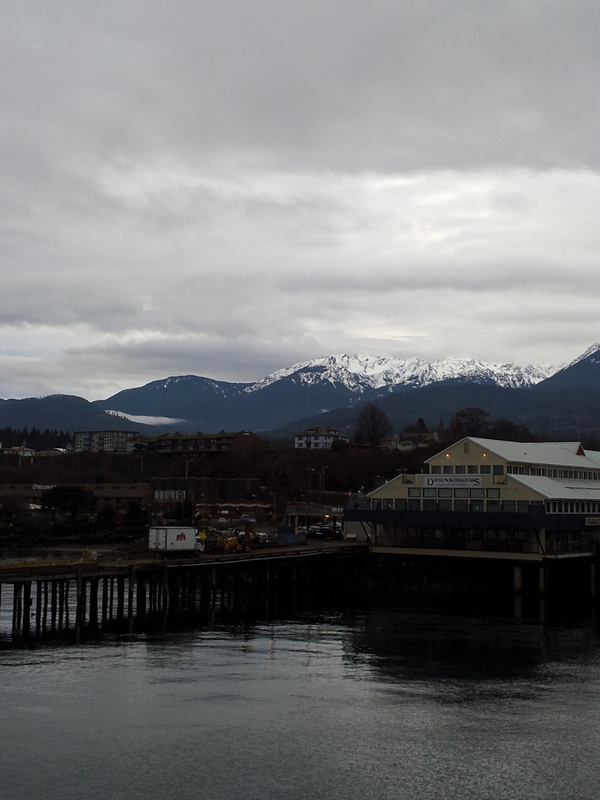 I’ve only ever seen the U.S. mountains from Canada, until I took a trip to Port Angeles, WA this week. It was an incredible experience to be right in the neighbourhood of this magnificent mountain range, after gazing over the water at it for so long. It was foggy when I arrived Monday evening, but I managed to snap a picture Tuesday morning from the ferry. Ripper! So What’s All This About Faff Camp?